Something strange, yet wonderful happened, I got to review the same item twice! Or really they sent me the same item I had gotten previously, and loved, and in a even bigger size! 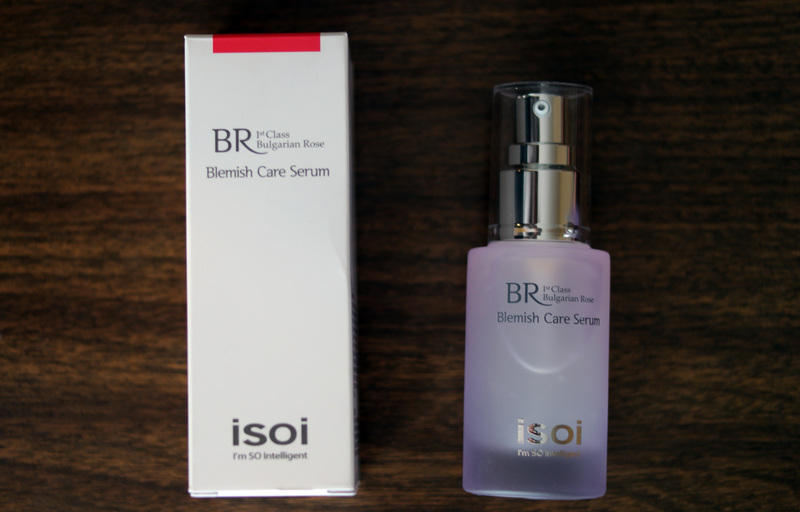 I’d just like to link you my previous review here where you can read my in dept review of iSOi Bulgarian Rose Blemish Serum. You can see my previous video review of it below. The fresh rose scent and rapid absorption were my favorite features previously. I can’t tell you how excited I was to get it again, like, super duper. I really loved it the first time I got it in the 20ml size, so much so I emptied it! 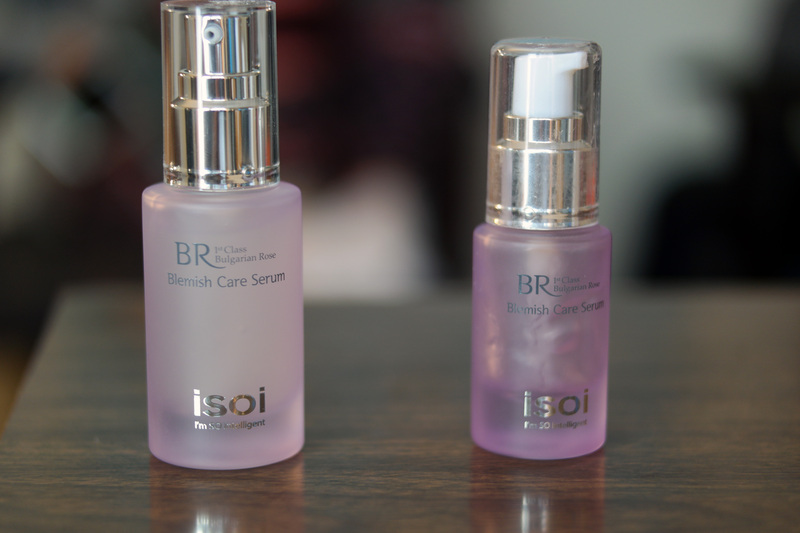 I don’t often empty products because I get so many to try out, but I kept using iSOi Bulgarian Rose Blemish Serum until it was gone, so I was sad when I used it all. I didn’t feel like forking out around ~$50 for it, but now that I’ve gotten it again, I’m seriously considering stocking up on it and using them forever! The container still maintains it’s luxurious glass bottle, and comes with a even nicer pump now, or what I think looks nicer. Overall I think they did well with the size upgrade (now 35ml) as you get more bang for your buck now. The serum’s suppose to help with blemishes but I found that it mainly helped with my overall complexion. It helped with my uneven skin tone that I occasionally get, and with my minor acne I get from hormones. 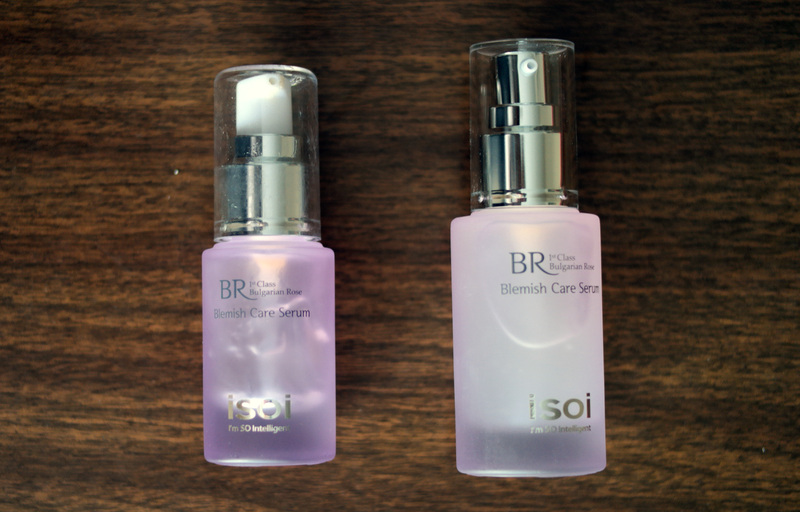 Check out my other iSOi reviews; toner, and cream. Overall I’ll keep the rating the same, 8/10.